The Queens Library on Monday unveiled a plaque honoring a beloved member of the Forest Hills community and devoted patron of the North Forest Park branch. 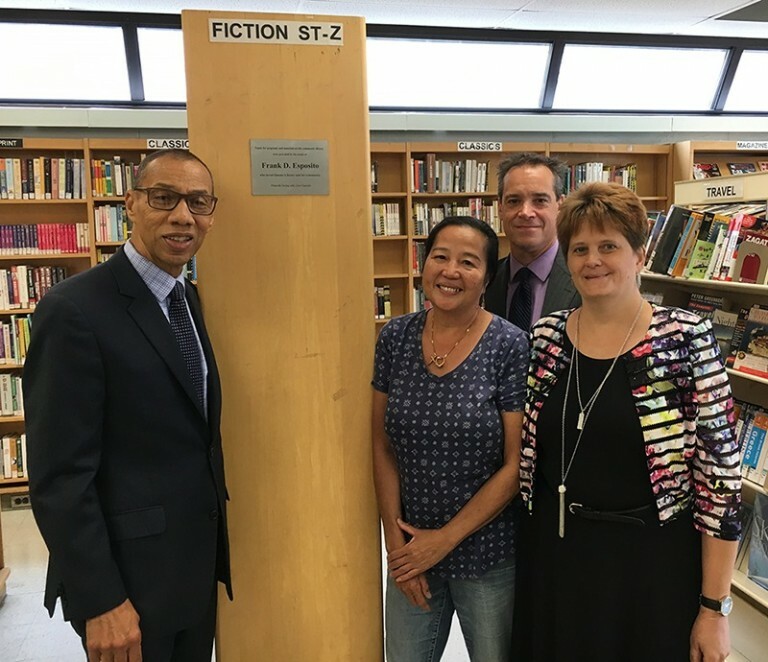 Library President and CEO Dennis Walcott joined branch staff to pay tribute to Frank D. Esposito, who passed away in 2013, leaving a $50,000 bequest to the North Forest Park Library. According to the Library, Esposito, who had lived in Forest Hills since 1969, served his country with distinction in Vietnam. When he returned from the war in 1971, he went to work for the City Board of Education as an electrician. While he worked days, he went to the City College of New York at nights, and earned his college degree four years later. This enabled him to become a supervisor of mechanics, and at the end of his nearly 37-year career with the Board of Education, he was in charge of 300 people and served 1,100 schools all over the five boroughs.